I know things have slowed down a bit around here lately. I assure you that I have not lost interest. I have been working behind the scenes a bit, but I admit that my blog just hasn’t had my full attention. First, one of my oldest (childhood) friends got me hooked on a new game. Then my sister-in-law had her baby. He’s the cutest little guy and I just can’t get enough of him! He arrived at the perfect time and was just what I needed to drag me out of the good old Winter Blues. Seriously, I hate Winter! Mostly, I’ve been trying to get back into shape. I’ve been doing more exercises that my body is no longer used to so I end up getting hurt. I know they say the best thing to do is push through it so I kind of go back and forth. One day I’ll push through it and the other day I’m laying on the couch unable to move. Good times. To sum it up, I’ve been juggling a lot and I need to manage my time better. The problem is that there’s just so much that I want to do and so little time. I’ll try harder though. Today I’m going to be talking about one of my Hush App purchases that I mentioned in my Holiday Haul post. 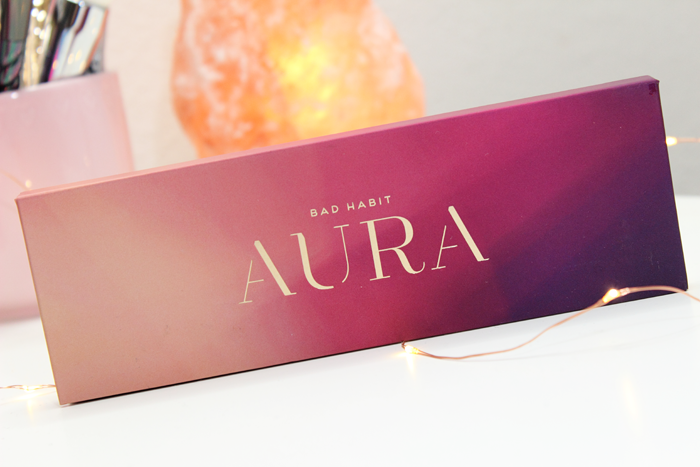 It’s the Bad Habit Aura Palette. 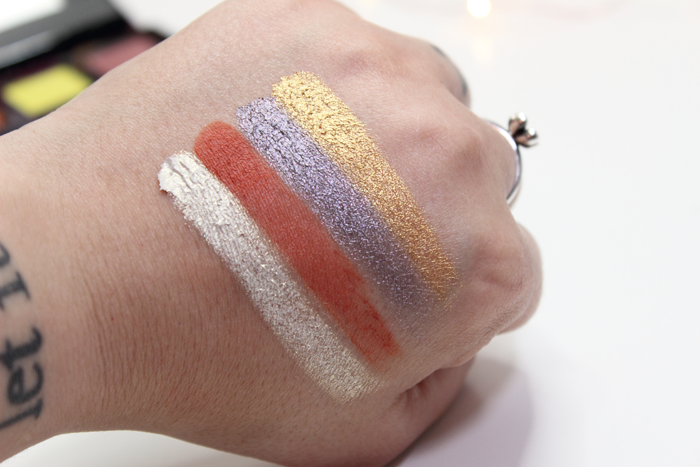 It’s said to be a dupe for the Anastasia Beverly Hills Prism Palette. It’s not an exact dupe, but most of the shades are very similar. 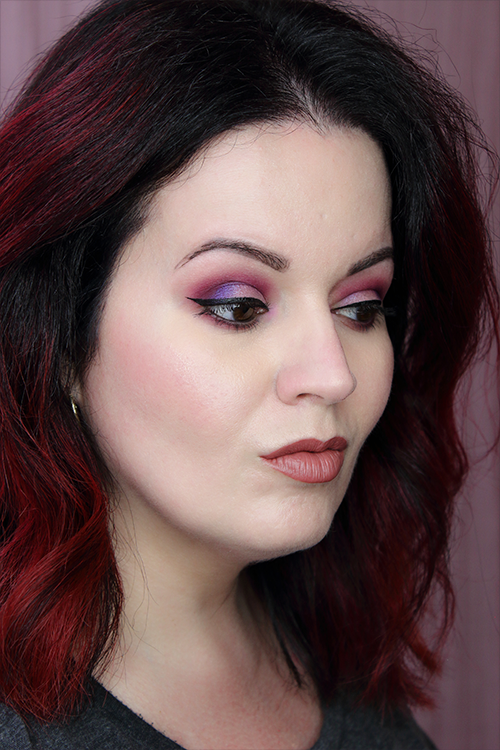 I was even able to recreate a look someone made using the Prism Palette. 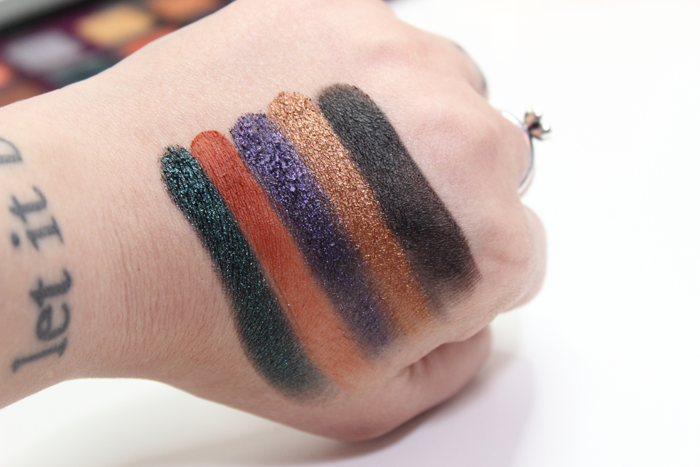 Bad Habit claims it features unique textures ranging from intensely pigmented mattes to ultra pearled metallics to shade shifting duo-chromes. I’m really digging the different textures as well as the shade selection. When I first opened this palette the first looks to come to mind were bold. However, you could just as easily tone it down and create a few neutral looks as well. Now onto my thoughts! 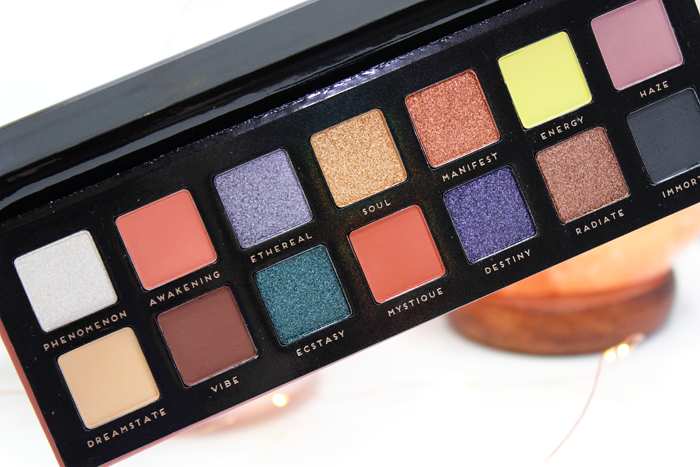 The Aura Palette is beautiful! I was very impressed with it. 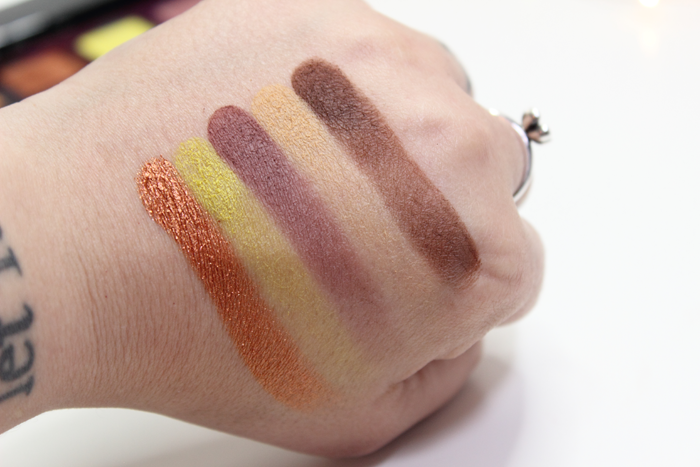 Not only did it swatch nicely, but the shadows applied and blended beautifully. Even some of the darker matte shades! 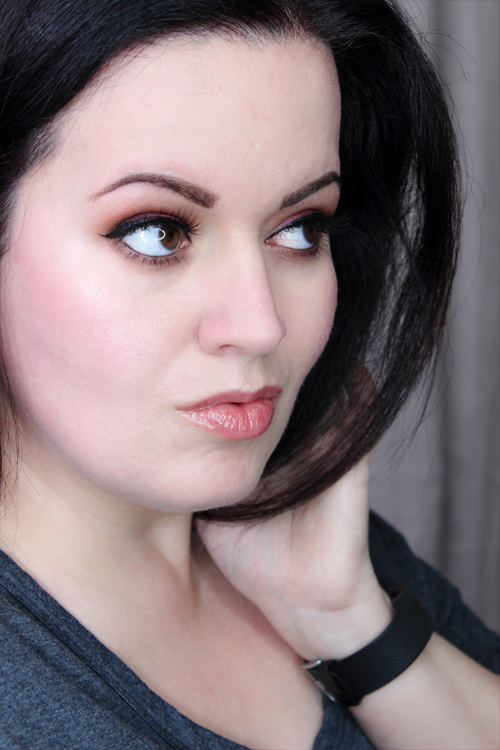 Some of the mattes were a little on the powdery side, but I didn’t experience any issues. My only real complaint would be the shade Energy. 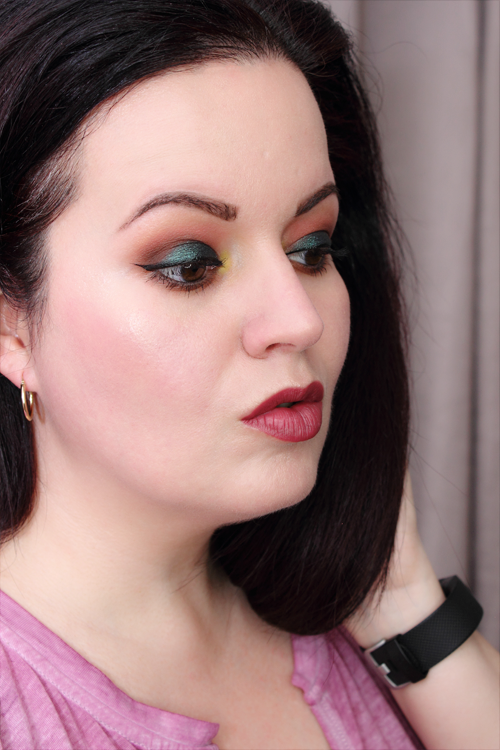 It wasn’t anywhere near as vibrant as the yellow shade in the Prism Palette. 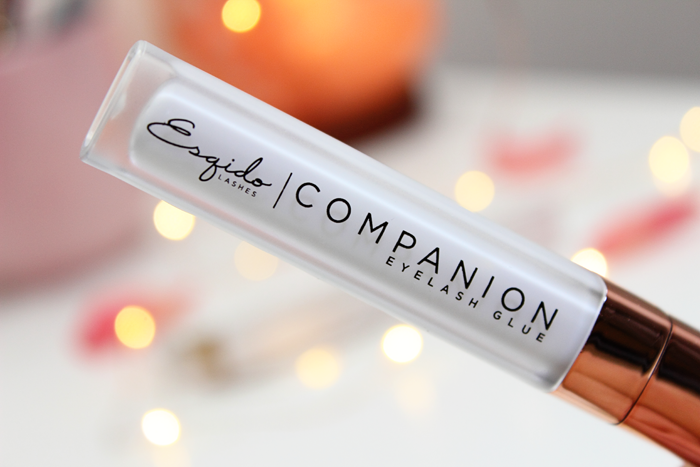 I used this shade on the inner corner of my eye and had to build it up quite a bit to even get that kind of intensity. Which still isn’t much. Also, the shimmery shades apply much better with a dampened brush. I applied Ecstasy on my lid and when I applied it with a dampened brush that shade just popped! It makes a huge difference! 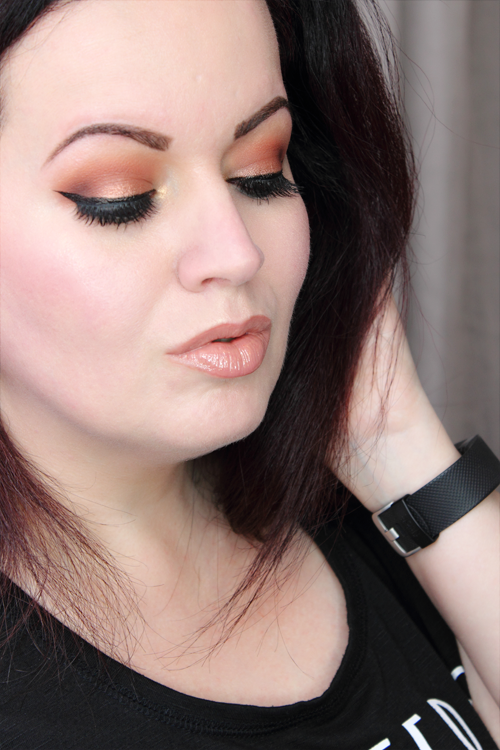 You can see a look I created with Bad Habit Aura Palette below. 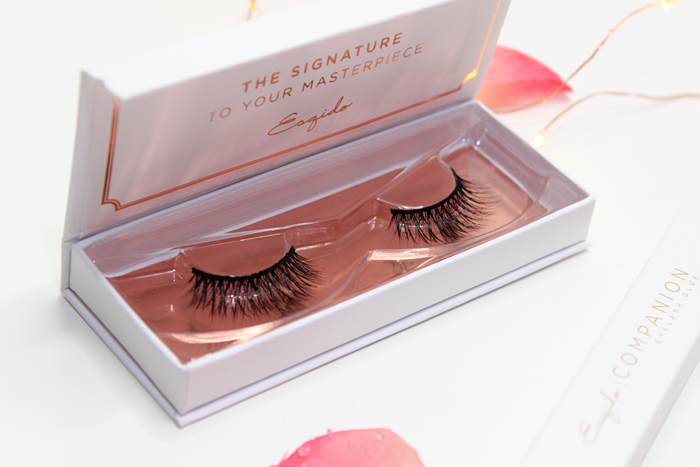 I used Awakening in my crease, Vibe in my outer crease, Ecstasy on my lid, Energy on the inner corner of my eye, and Dreamstate on my brown bone. I really want to collect all of their palettes. Even the dupe for the Modern Renaissance Palette (which I already own and love). I just think that they’re surprisingly great quality for the price. I wasn’t expecting to love these palettes as much as I do. So be on the look out for more Bad Habit reviews. Last month I mentioned on my Instagram how excited I was about Sky Organics new Bubble Box. 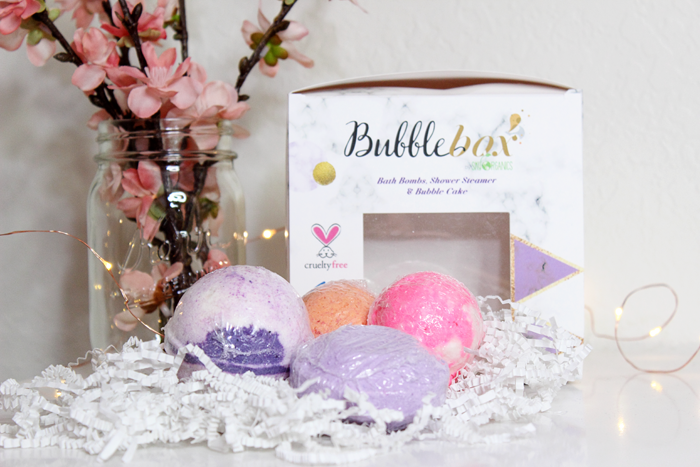 Bubble Box is a monthly subscription of bath goodies delivered right to your door! Every month you will receive 1 bath bomb, 1 shower steamer, 1 bubble bar, and a surprise. Sometimes it’s a bath bomb, sometimes it’s a bubble bar, and sometimes it’s both! It costs $16.95 a month and you can cancel at any time! Let’s take a look at what’s inside a typical Bubble Box! Bath Bomb: 5 oz Lavender Champagne – A sparkling mix of lavender oil, effervescent citrus notes, and sweet vanilla. Shower Steamer: Lavender Luxury – Lavender lover’s dream. Bubble Scoop: Strawberry Shake – Vine ripened strawberries combined with notes of juicy orange and peach nectar. Mini Bath Bomb: Love Potion – A sweet bouquet of citrus and berries. I love Sky Organics bath bombs. I’ve had the pleasure of trying them on a few occasions. And let me tell you, I was pretty sad when I ran out. 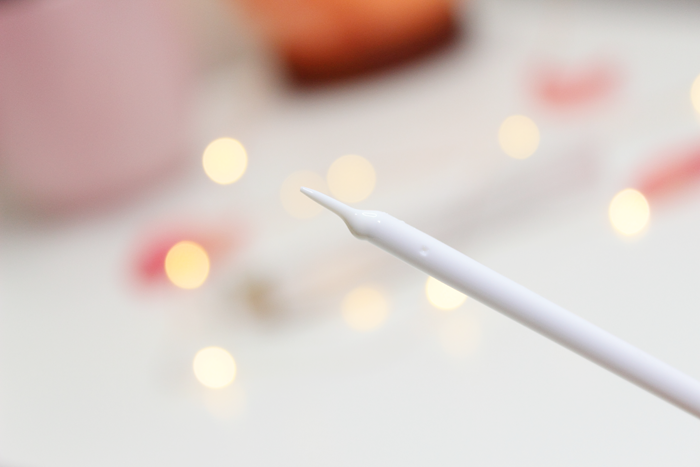 What I love about them is that they’re hand made, 100% natural, they don’t contain a lot of ingredients, and they smell amazing! My skin always feels so soft after soaking in the tub with one of their bath bombs. They’re not that messy either. Of course you’ll have to rinse the tub afterward, but it didn’t stain or anything. I like that they include shower steamers and bubble bars as well. It’s a nice variety of bath goodies to keep things interesting. My only real complaint is that when the box arrives you really don’t know what’s what. I have to visit their website to get a break down of what’s inside the box. It’s not really a big deal, but I think it would be helpful if they included a card so that you know what kind of bath bomb/shower steamer/bubble bar is inside. 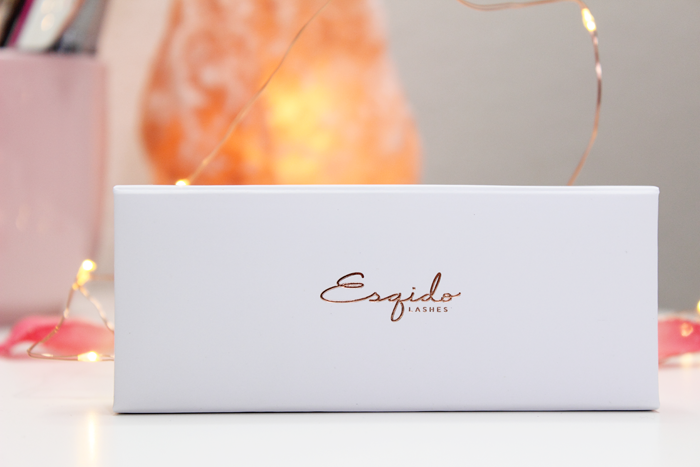 I love the idea of a monthly subscription box for bath goodies. I always seem to run out of bath bombs or bubbles and forget to replenish my stash when I’m out. So it’s always a pleasant surprise to open my mail box to one of these wonderful boxes.